PJ's post agrees with what I have read in one of the books about German lenses. 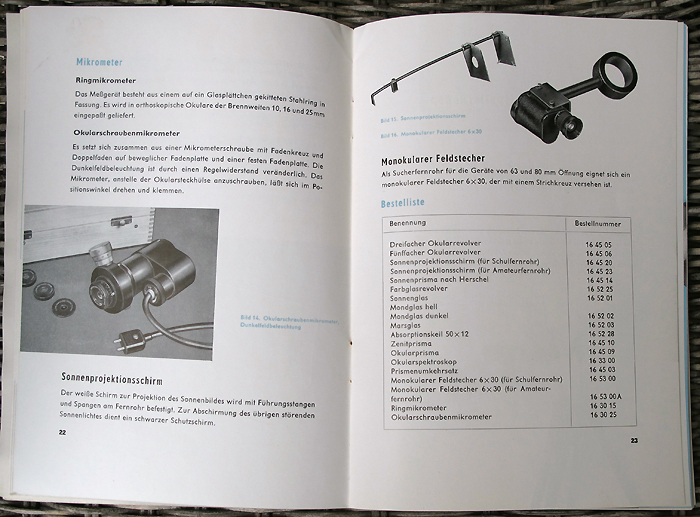 The book also lists an AP doublet semi apo lens. Further down the thread is a post by Markus Ludes where he said he sold an AQ prototype. That is very interesting. I had never heard of those. What about the Zeiss Presto? ED doublet produced in the 1990s. I saw one for sale in Germany for 2000 euros a few months ago. A couple have a Baader tube like the later APQs but most have an ATM tube. Some posts say only 20-30 were made but they seem to come up every so often, and I suspect that 30 may be too low. Edited by Derek Wong, 18 May 2016 - 02:12 AM. Last night I was lucky to test 1 Telementor I, 2 Telementor II and 1 Telemator side by side with a Polarex 60mm equatorial mounted. Objects were the Moon and Jupiter. Used the same eyepieces and zenith prism on all the scopes. Details on Jupiter were impressive in all the scopes. Pinpoint moons and a lot of details on Jupiter's surface. Sharp and good contrast on the Moon. Small details were clearly visible even at high power (5mm Ortho Abbe). Outperforms modern ED lenses made in the Far East. The Zeiss and the Polarex are two different concepts of telescopes as you know. It's more about like or dislike and reputation. The Zeiss is more a grab and go telescope. Quick setup. Of course the all of the Zeiss performed great. Contrast, sharpness, colour correction. The Polarex has a cooler colour. But also performed very well. Difficult to see a difference with the Zeiss telescopes. I find the Telementor mounts a little to light. The damping time was longer. Harder to focus with high power eyepieces. The Polarex doesn't have this problem. The Telemator is also more stable. The Zeiss finder scope is better than the Polarex one. The scope I prefer is the Telemator. Quicker setup. Stable. Good finder scope. I do not believe that Zeiss ever produced ED80/840 objectives and so called Presto telescope. I guess following thread from Germain forum was overlooked by many CN members. According to Baader about 36 objectives were produced, just before Germany was reunited. 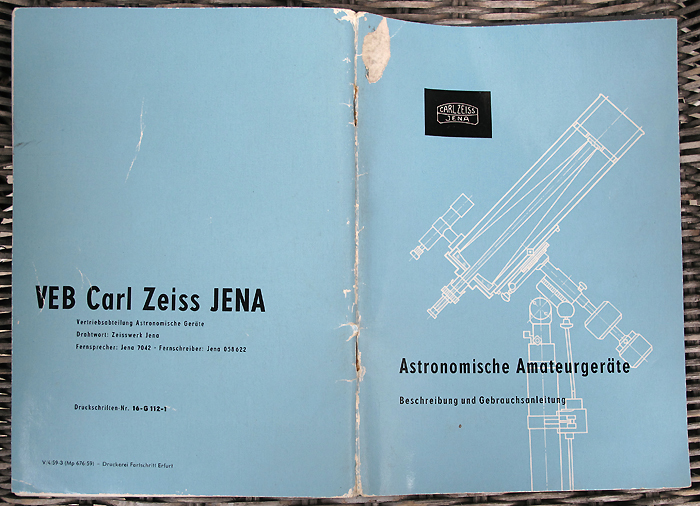 As Zeiss was shutting down amateur telescope production, some made it into AS80/840 OTA's; the rest never did. So, I guess you could say the Zeiss ED80/840 telescope was not produced. There is a Thread http://www.meridiank...s_as63_840.html where the owner compares his Zeiss ED Presto to an AS 63/840mm. Turns out the winner is the Zeiss AS 63/840mm. So Zeiss actually made a number of Prestos. Baader sold a few units in 1996, shortly after they closed telescope production at Zeiss. The tubes had ZEISS Germany written on it. The glas wasn't from O'Hara in Japan but from Schott in Germany. Interesting that the above reference includes comparison to an APQ100/1000. Little AS held its own. 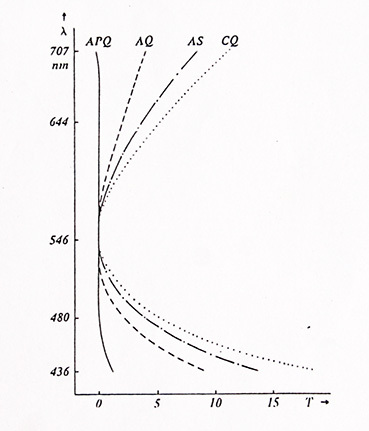 Janez, that was a very interesting table you posted earlier about the CQ and AQ and APQ lenses. So there were no test samples of the CQ or AQ? I'm sure that there were some prototypes, but this types of objectives did not make it to the production line. 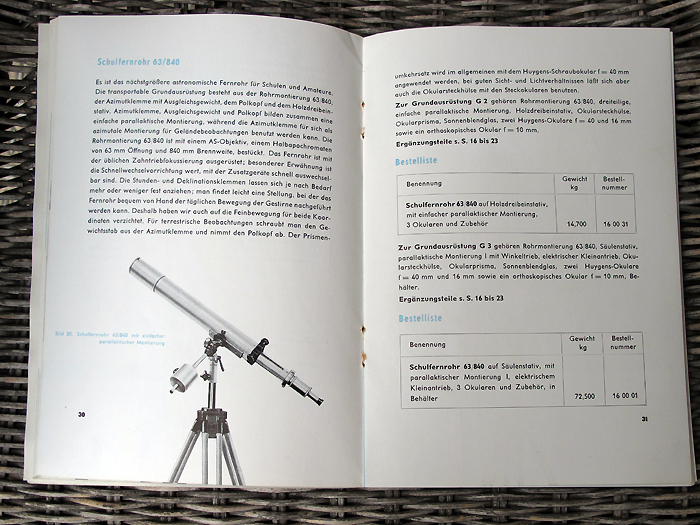 I read through the lengthy and detailed discussion in German on Astrotreff, http://www.astrotref...185&whichpage=2. Two Zeiss experts, Markus Ludes and Felix Schmicker, present a consistent description of how the so-called Presto ED 80/840 telescope came about, Zeiss Tubus with non-Zeiss lenses. So the Presto is not a Zeiss telescope. Very interesting. Edited by RichardHennig, 24 May 2016 - 10:51 PM. Thank you RichardHennig for the link. This is a great read. According to the statement of Dr Wimmer it is confirmed that the "Presto" was a Zeiss-made tube combined with ED-glas from an unspecified source. The glas could be Schott or Ohara but Dr. Wimmer doesn´t know. Here is the e-mail statement from Dr Wolfgang Wimmer to Mr. Meier of 5 November 2015, translated from the above link to the best of my knowledge: "There were plans to replace the aging 2-lens AS 80/840mm objective by a two-lens objective ED 80/840. No one of my former colleges from manufacturing were able to confirm that the objective was actually made by Zeiss. There is no mentioning of it in the production and delivery files". According to Dr Wimmer the Zeiss archive does not mention an "ED 80/840mm" or "Presto". A Zeiss labeled "Presto" was sold on ebay Germany last year for 2610 Euros. "Ouchh" is all I can say. I love my Telementor not least because I can trust it to be 100% Zeiss-made. Edited by Piggyback, 25 May 2016 - 04:28 AM. Thanks Piggyback. I agree -- Sounds like Zeiss was already getting out of the telescope market and threw something together. 2610 euros would buy a nice 100% Zeiss AS. Also, I always thought the name "Presto" was unusual. Thanks idahoman. I googled the translation for "Presto". I assume it is italian, meaning "soon". Could it be the designation of the telescope was meant to refer to "fast" focal ratio? Edited by Piggyback, 25 May 2016 - 03:34 PM. Have you noted the names Zeiss used for binoculars? Also unusual. For some reason, the name "Presto" sounds cheap to me. If I had been asked, and I was not of course, I would have chosen a different name. So, do you all mean that these Zeiss ED 80/840 "Presto" are actually NOT from Zeiss ? Where do they come from then ? As far as I know, the Zeiss AQ would be the replacement of the Zeiss APQ. They made 3 prototypes of the Zeiss AQ. A friend told me about the existence of one (I think it is in the USA), and another one I've bought a few weeks ago, the third I have no news of it. Idahoman congratulations for your AS 63/840, is in a awesome condition!, must be a pleasure to observe with him (I wishing to try one) enjoy it a lot! Edited by Fhuyu, 09 October 2016 - 09:43 AM. Hi Fhuyu, have you had a chance yet to post some pictures or impressions of your Zeiss AQ? Yes!, PJ Anway your AS63 is beautiful , and very interesting the information you share, I did not know of the existence of the 2 models of AS80, and how interesting too the good performance of the AS, thank you very much!. Hi idahoman!, it is still stopped in customs, I hope this week or next week I get it in home, my heart stopped since the first second I knew customs were delayed with bureaucracy (years of life lost by stress: 2 ). 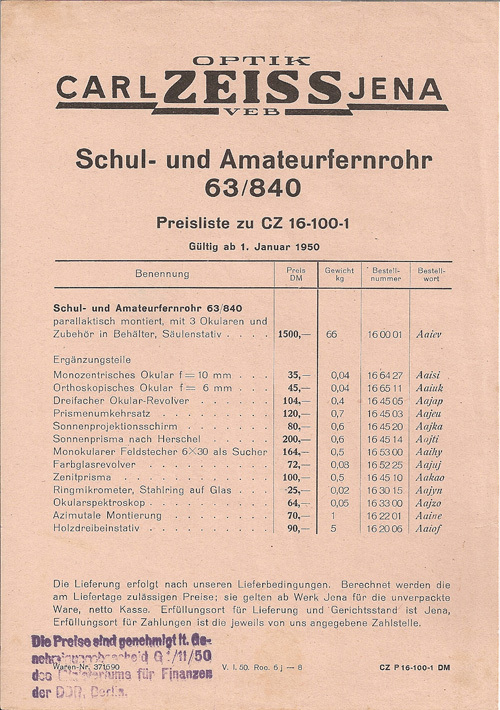 I am glad to report that I found a 1959 Zeiss brochure that answers our question for an AS 63/840mm finder. On page 23 a bracketed Monokularer Feldstecher 6x30 für Amateurfernrohr is offered for use as finderscope. I assume the ring was meant to fit between the extension tube and helical focuser. Anyone here seen a real AS 63/840mm with this funny looking contraption? When I think about it, this sure makes a lot of sense. Also found this nice depiction of an early AS 63/840mm on page 30 of that catalog. Could this be the one they were showing at the Leipzig fair in 1949? Anyone seen an early mount like this for real? My catalog even had a 1950 price list. 1500 Marks for a Schulfernrohr. Ouch!